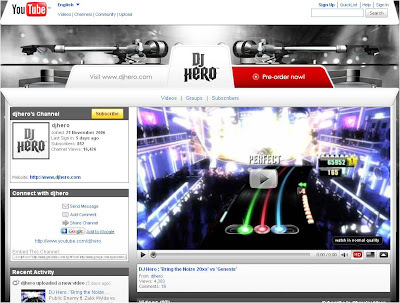 DJ Hero is coming to Xbox 360, Playstation and Wii shortly. Featuring some of the world's top DJ's (with Paul van Dyk and Tiesto now added to a roster that already included legends like Grandmaster Flash and DJ Jazzy Jeff), DJHero is a music game that lets users 'DJ' across 100+ songs using a specially designed turntable / crossfader game controller. Players can then scratch, blend, crossfade, sample and also create their own tracks. 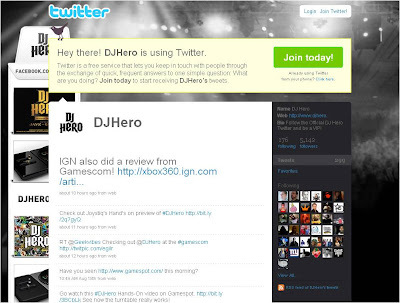 Everything is then aggregated on the main DJ Hero website at www.djhero.com. First of all I think this looks great fun, but it is also demonstrative of how the physical and virtual worlds are fusing together. DJ Hero is not just a game with a strong player 'experience', it is also provides tools of production. Guitar Hero is about playing along, but DJ Hero offers the opportunity to create too. DJ Hero effectively offers a low cost entry point to music production and future plans for social networks to be linked into gaming will make it even more interesting. 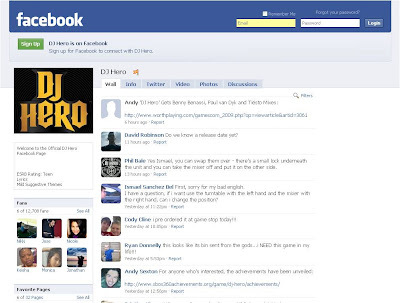 If gamers can use DJ Hero to create and collaborate, and then easily share with a wider audience (via mechanics like Facebook Connect), how long before the first DJ Hero user created track becomes a viral hit? I'm looking forward to the release of this!